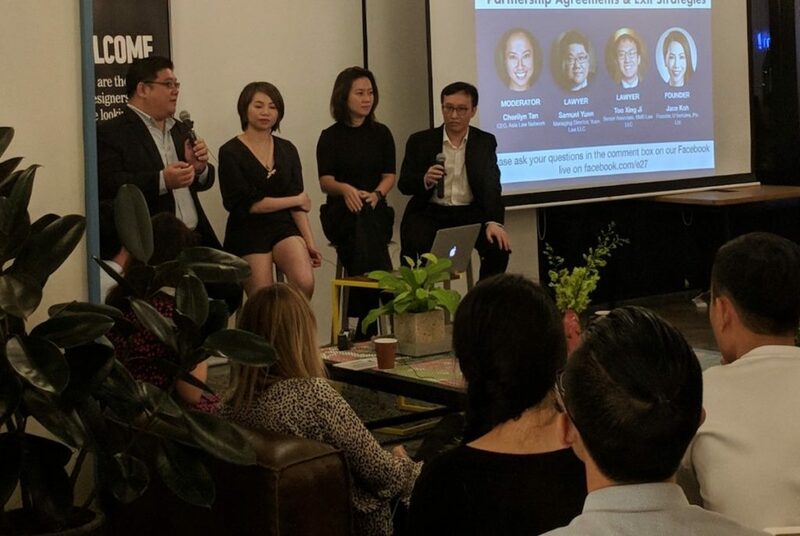 During a panel discussion organized by Asia Law Network, with partners General Assembly, e27 and WeWork Beach Centre, Samuel Yuen (Managing Director of Yuen Law LLC), Too Xing Ji (Senior Associate at BMS Law LLC) and Jace Koh (Founder, U Ventures Pte Ltd), shared their thoughts on the essential agreements needed to protect a startup. The panellists covered 3 main topics: (1) Incorporation (2) Managing Partnerships and (3) Exiting Strategies. What are the things I need to prepare if I want to incorporate a company? When incorporating a company, Jace shared that founders must prepare a few key things, including: the company name, list of shareholders as well as the names of the directors. In her experience, the incorporation of a company can be as fast as a day for Singaporeans but may take up to 2 months for foreigners. Should I be a director? The panellists discussed the different roles and responsibilities of a shareholder and a director. While the shareholders are the owners of the company, the directors are the one in charge of running the company. Samuel commented that directors have access to sensitive information like management accounts. In contrast, the shareholders do not typically have access to these types of information. In Samuel’s opinion, if you want to be in control of the business, there is value in being a director. Xing Ji also pointed out how directors can bind the company in external relationships. However, he also cautioned that there are additional duties and responsibilities being placed on directors. What are the legal documents I need to prepare when incorporating a company? According to Samuel, if you have multiple shareholders, you can consider having a shareholder agreement. A shareholder’s agreement is a contract signed by the shareholders in a company. The agreement describes how the company should be run, and the various responsibilities of each of the shareholders. Unlike the company constitution, which is a public document that deals with procedural rules, the shareholder agreement is a private document that deals with the substantial rights between parties. Samuel shared that a shareholder agreement is useful as it can provide for deadlock and dispute resolution mechanisms. Samuel also noted that other relevant legal documents include a trust deed for nominee directors as well as partnership and investor agreements. This would all depend on the structure and circumstances of your startup. What type of structure should I adopt? Samuel pointed out that the structure of your business depends on what you want to be responsible over. He used the analogy of a bicycle as a sole proprietorship. When you ride a bicycle and fall over by accident, the bicycle frame is protected by your body. This is similar to a sole proprietorship, where you are legally liable for the business. Samuel then contrasted a sole proprietorship with a company, which he analogized to a car. In the case of a car accident, one can emerge unscathed even though the car is damaged. Similarly, in the case of debts occured by a company, the shareholders will not be held personally liable as the company is treated as a separate legal entity. Should I adopt an Employee Stock Option Scheme (ESOS)? An employee share option scheme (ESOS) is a means of offering key employees or consultants the opportunity to acquire shares of the company. Samuel cautioned that ESOS should be done carefully and startups should not dilute their shareholding. Xing Ji also commented that an ESOS should only be introduced when management has confidence in the employee and wants to incentive his or her performance. In Xing Ji’s experience, ESOS are not usually introduced in the initial employment contract. What are some of the key clauses that will help manage an exit? Samuel explained that he has seen “tag along” or “drag along clauses” being negotiated in Shareholder Agreements. Tag along clauses allows minority shareholders to join a sale by the majority shareholder. In contrast, drag along clauses allow majority shareholders to compel a minority shareholder to join the sale of the company. Such clauses are useful as they help manage the relationship between the majority and minority shareholders. Another clause that Samuel has seen is a “Mexican shoot-out” clause. This clause allows shareholders to manage exit situations through a buyout. How the clause works is that Shareholder A must notifying Shareholder B of his intention to sell his shares at a specific price. This offer must then be accepted by Shareholder B otherwise Shareholder B is obliged to buy over Shareholder A’s shares at the same price. What are some of the key considerations when exiting a company? Jace shared that it is important to conduct a valuation when exiting a company. This entails knowing your assets, liabilities and how much you can potentially make. Jace also shared that in the present climate, companies don’t need to be profitable to be sold at a good price. Xing Ji also commented that it is important to check the terms you are agreeing to, in order to avoid any misrepresentation of facts and potential contractual disputes. A lot of time and money can be wasted on disputes and litigation if contracts are not properly drafted or agreements are not put in place. In closing, the panellists agreed that it is important for startups to write out their business plan and figure out what type of structures and agreements must be put in place. As the saying goes, a stitch in time saves nine! 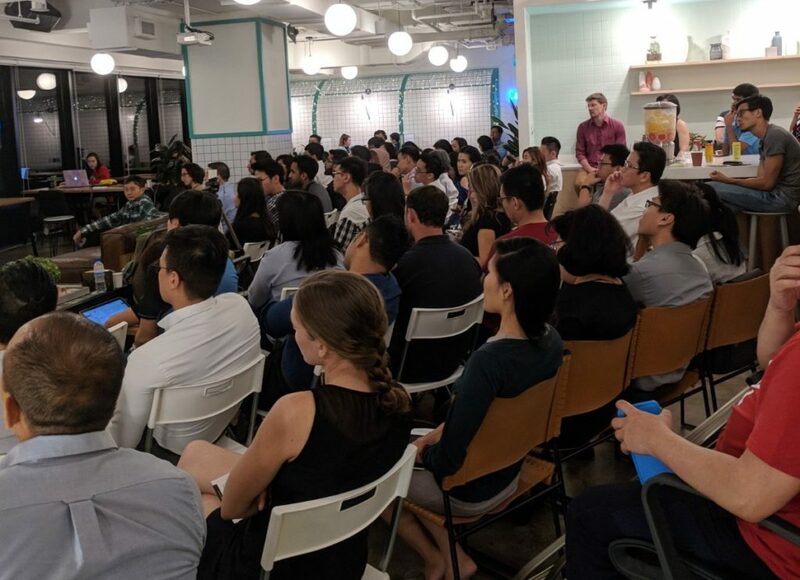 Join our LIVE Q&A session on Startup Law Academy: Partnership agreements and exit strategies.Moderated by Cherilyn Tan, CEO & Founder of Asia Law Network, we have Samuel Yuen, Managing Director of Yuen Law LLC, Too Xing Ji, Senior Associate at BMS Law LLC and Jace Koh, Founder, U Ventures Pte Ltd, who will share their thoughts on the essential agreements to protect your startup journey.A big shout out to our partners General Assembly, Asia Law Network and WeWork Singapore Beach Centre for co-organising this event! Remember to post your questions in the box below and we will attend to them in this session and after! Keep them coming! Would you like to speak with Samuel or Xing Ji about partnership agreements? 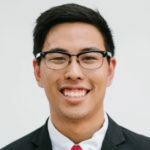 If you want to get legal or general advice on your startup, get a Quick Consult with Samuel Yuen, Too Xing Ji or other lawyers. With Quick Consult, you can check out in minutes and for a transparent, flat fee, the lawyers will call you back on the phone within 1-2 days to answer your questions and give you legal advice.